Sharon Davis Makeup Artistry offers everything from body art to bridal makeup and more. The extent of services that this company offers means that they are more than capable of helping you achieve the bridal look of your dreams. 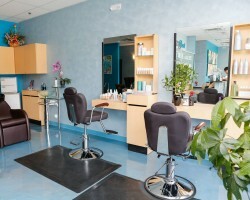 They will provide relaxed assistance so you can enjoy the process of getting ready without any stress. You will love feeling confident and beautiful while also knowing that you will look great in the pictures of the day whether they are taken by professionals or guests. 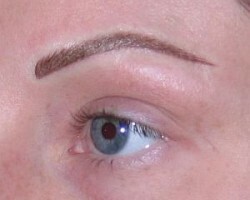 Permanent makeup is available when you work with Dermagraphics by Jenice. This professional works to make sure that your natural features are accentuated and the makeup allows you to look fresh and put together at all times. You can choose to have these services done before your wedding and then have them highlighted on the day or you can have them done for everyday wear. Either way you are guaranteed to save time and feel more confident when you have this makeup applied. One of the best things about working with a professional like Deena, of Deena Paige Makeup, is that she is able to accommodate for any request and achieve any look that you may have in mind. Whether you would like a unique look with pops of color or would like natural, effortless makeup, she can make it happen with ease. According to reviews her flexibility and skill are impeccable and they are matched by her customer service and relatively low prices. Special occasion makeup from LeNu Spa is always beautiful, customized and affordable too. This company offers wedding hair and makeup that can come on its own or as part of a complete spa package. You are in control of the services that you will receive on your big day when you work with this company. The Raleigh makeup artists will take you through all of the looks and possible techniques that can be used in a trial before applying the look flawlessly on the day. Hiring a makeup artist in Raleigh, NC from Blush Cosmetic Artistry means having a unique and personalized look on your big day. This team will take you through a trial run before the wedding so you can adjust the colors and the look as the professionals work. This ensures that you are comfortable with the services and are able to relax on your wedding day. Every North Carolina bride that works with this service raves about how fun and relaxed the service was.